This is a printable 10 Commandments Bible matching game. I made a black and white one and a colored one. 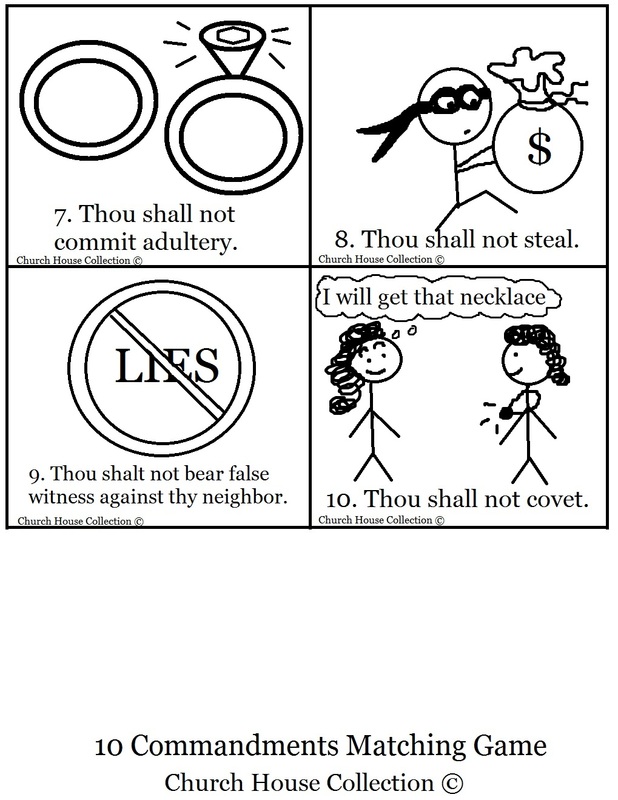 Print two copies of page 1 and page 2 out. Cut all the pictures out. 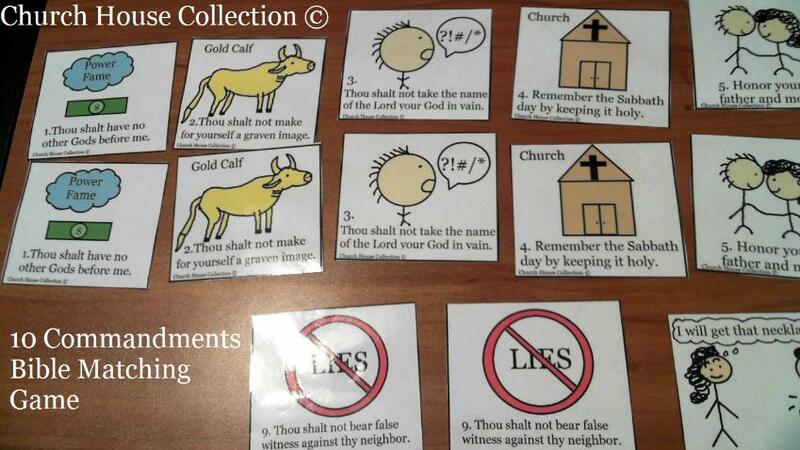 You could laminate these so they will last longer and use them again and again for bible game time. Turn them all over face down and let the child take a turn and flip two cards over. 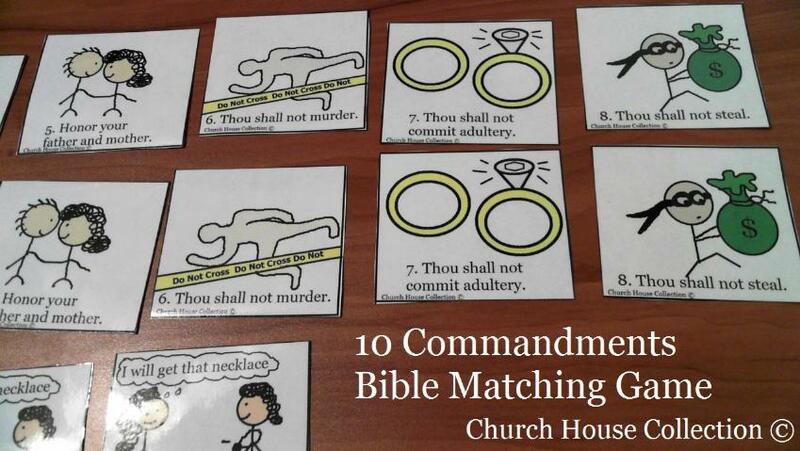 If they match then they get another turn, if they don't match then the turn goes to the other child. 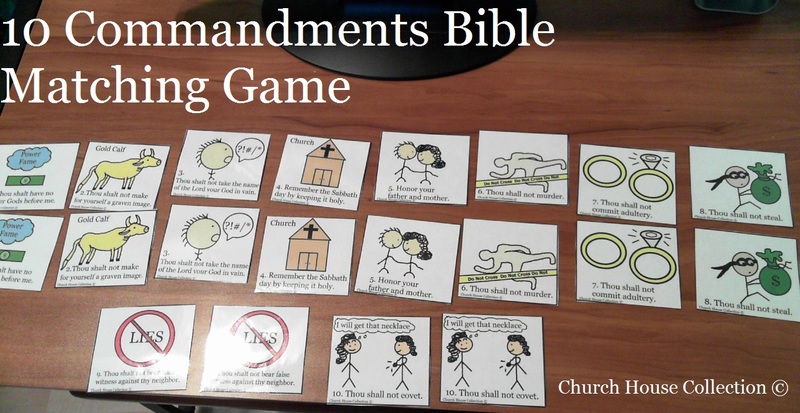 This game is good for helping the kids to memorize the ten commandments from Exodus. 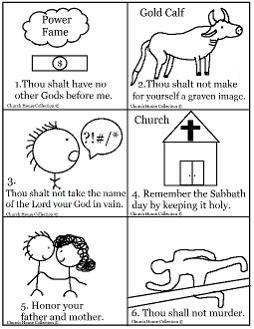 I actually printed the black and white templates out like a coloring page and had the kids color the pictures and cut each picture out and we stuck them in ziplock bags and wrote their name on the outside of the plastic ziplock. We leave them at church and each time we start a new commandment I have the kids get them out and have them say it with me twice out loud. The kids can look over them for a minute and try to get use to saying them. 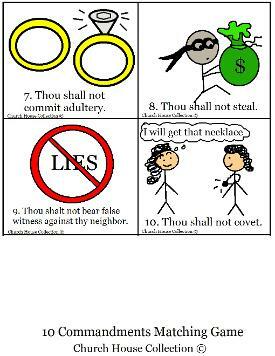 When we get through all ten lesson plans I will let them take them home with them. 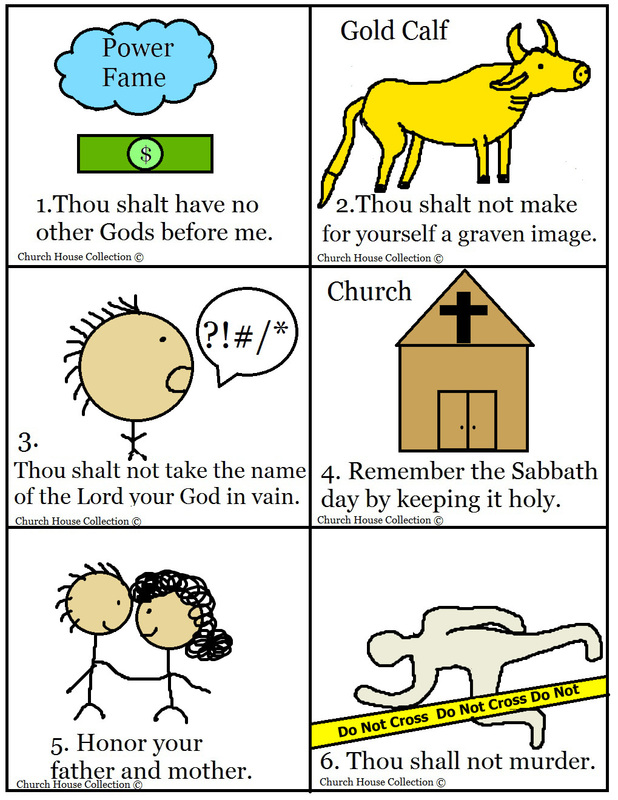 You must check out our Ten Commandments Sunday School Lessons that we created. 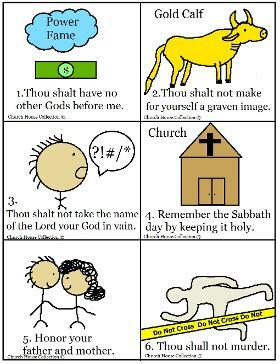 I broke down all ten commandments that will take you through ten weeks for Sunday school or children's church. Each lesson was created with a matching craft, coloring page, snack and more. 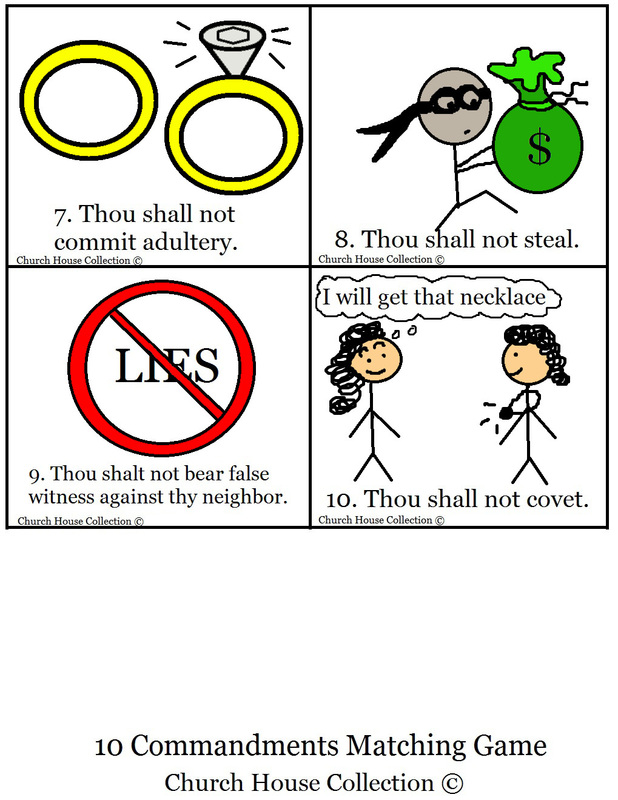 You must check these out if you looking for lesson plans that will take you weeks to get through. 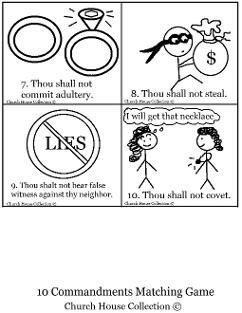 If you don't want the lesson plans and just want to skip straight to the Ten Commandments snacks then by all means head over that way.